The all new Halltech manufacturing company website design. 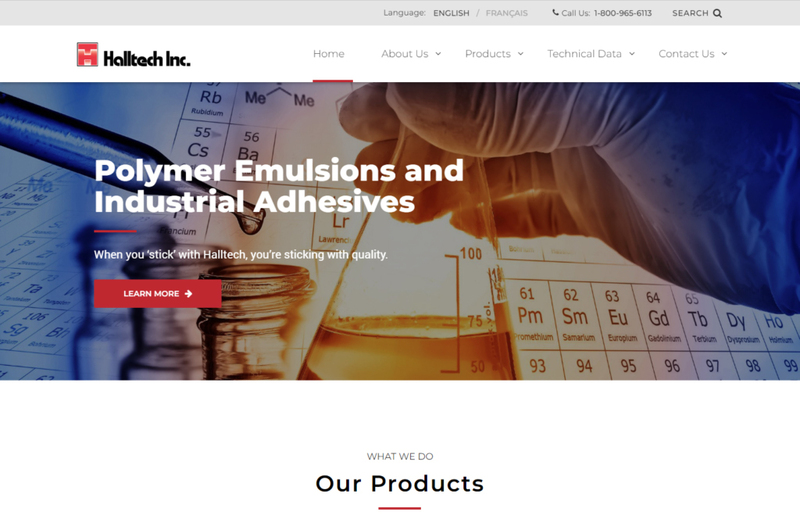 Halltech Inc. are specialist manufacturers of adhesives and polymer emulsions that are used in many sectors of industry. To showcase the experience and expertise of this manufacturing company we used a bright, engaging modern looking web design which was then built in WordPress. The WordPress content management system provides the facility for our client to easily keep all text content throughout the website updated in both English and French.